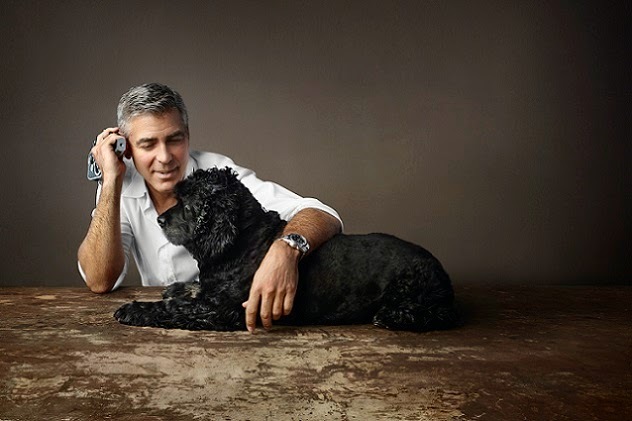 OMEGA has launched a new ad campaign featuring George Clooney and his dog Einstein with his intelligence and distinctive hair, might have seemed destined for a life of science. 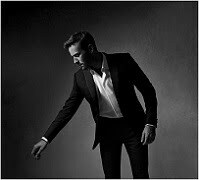 He would like to go into the family business. Clooney says;" Einstein has been stuyding acting for many years now as you can imagine. I think he;s concerned that I am in his shot and he thinks that perhaps you can airbrush me out of it. That's his hope." 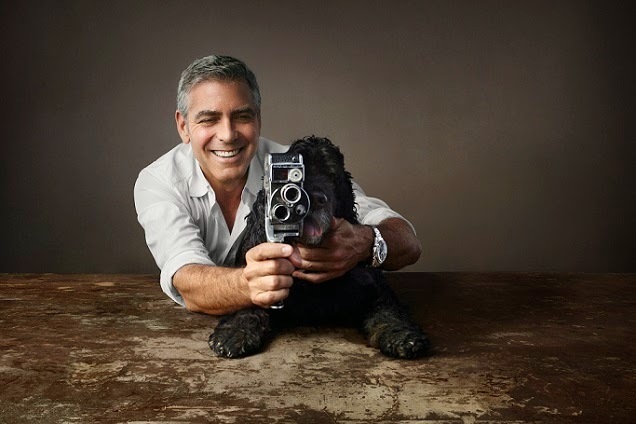 In one new photograph, a relaxed George Clooney, wearing an OMEGA Seamaster Aqua Terra wristwatch, lets Einstein look through the viewfinder of a vintage camera; in another, the dog is in front of the camera, clearly ready for his close-up and a walk.